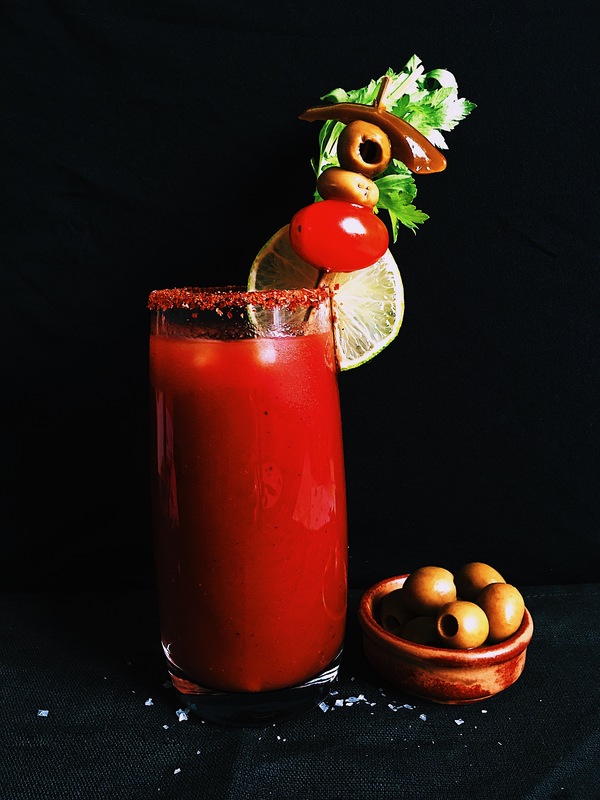 Friday night and the weather in London has changed, now it is very cloudy and cold, that means that we probably stayed at home, so I decided that instead of Friday night vino (wine) the hubby and I will do cocktail night, starting with some nice Bloody Marys! I used a spiced tomato juice that I found in the supermarket, also instead of using vodka, I used tequila! It is always nice to add a touch of Mexico to things! Then to garnish I just simply cut some celery stalks, lime wedges, olives, cherry tomatoes and a sliced homemade pickled jalapeño, I rimmed the glass with some ground piquin chilli with salt and to make the cocktail I added Worcestershire sauce, Tabasco sauce, lime juice, ground black pepper, ice cubes, celery salt & a shot of my favourite Tequila! Now I just need for the husband to arrive home to surprise him with these lovely cocktails! Rim the glasses. Pass a lime wedge over the top of the glass. Put the piquin chilli salt on a flat plate, then pass the edge of the glass that has been cover with lime over the salt. Keep aside. In a large cocktail shaker add all the ingredients for the bloody Mary and shake. Pour the bloody Mary in the glasses. Add three ice cubes. 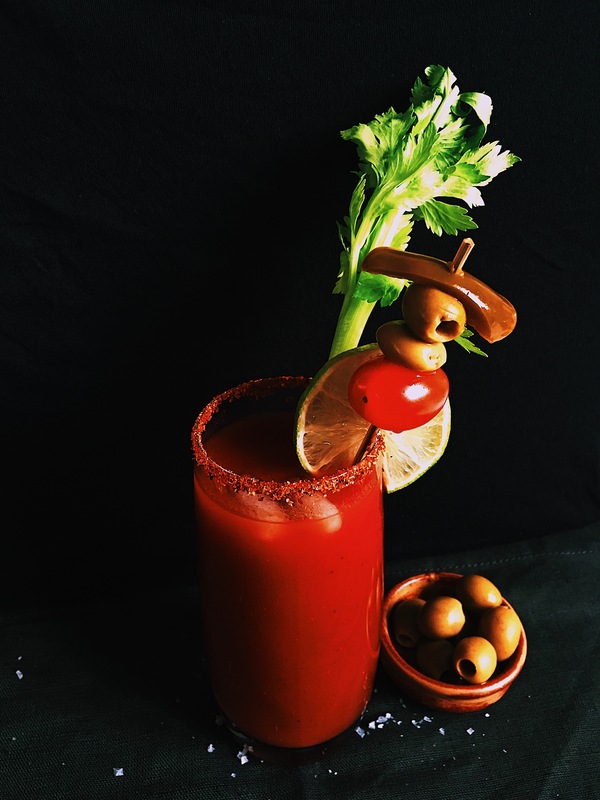 Garnish with a celery stalk, green olives, cherry tomatoes, a slice of pickled jalapeño and a lime wedge. Enjoy!